MainAll NewsInside Israel"We feel like second-class citizens"
"We feel like second-class citizens"
A kohen and divorcee, a Jewess and a non-Jew, a convert and a kohen. These couples are the first voices in a new campaign by the Ne’emanei Torah v’Avodah campaign to raise awareness of couples who cannot marry in Israel, because their marriages are forbidden by the Torah, and there is no civil marriage in Israel. The Ne’emanei Torah v’Avodah (literal meaning: Loyal to Torah and Labor), is a religious Zionist movement that claims it seeks to restore religious Zionism to its roots by integrating Torah with science, Zionism and modern life. It says that its purpose is to strengthen the integration of religious society into the general society in Israel to promote tolerance, equality and justice and to shape the Jewish-democratic character of Israeli society. The movement is seen as ultra-liberal Orthodox, says it is committed to Halakha-Jewish Law, to creating an open and critical religious culture and addressing the halakhic challenges of time. In the campaign launched today, couples in Israel are calling for the State of Israel to find a solution for them and to allow a civil registration for these couples. “The truth is that I never thought about it, because it seems natural that if a couple wants to, they marry. But when the moment came, we had to deal with it. I come from a home that had a lot of education in Judaism and tradition and we wanted to get married,” says Rinat Mezritz, a divorcee who lives in a relationship with Gilad Cohen. They have three children but are unable to register as a partner in Israel. “You feel like a second-class citizen. It takes the wind out of the sails, and makes you a bit anti,” says Gilad, her partner. “We knew that a problem may arise,” says Masha Friedman Cohen, the daughter of a Jewish father and a non-Jewish mother. She had undergone a complete Orthodox conversion as part of the Nativ program during her military service and encountered a problem getting marries when she met Ohad Cohen. “I think that until something in this matter doesn’t get changed in the country, I and many others like me will feel that we are not the same as everyone. They know to recruit me, to take me to combat, but to marry, I can’t here,” says Galina Polishciuk, a daughter to a Jewish father and a mother who is not Jewish, lives in a relationship with Yonatan Maor. “We give our share like any other citizen, but we have no solution,” says her partner Yonatan. “There is a couple sitting here that just want to get married, and just want to find a solution to build a Jewish home. It should not be a nuisance, it does not need to be something that causes unpleasantness with our family. The time has come to find a solution,” Ohad Cohen says. As part of the campaign, senior rabbis, who serve as marriage registrars in their cities, are being interviewed as well and are asked to find a solution to rectify the situation. 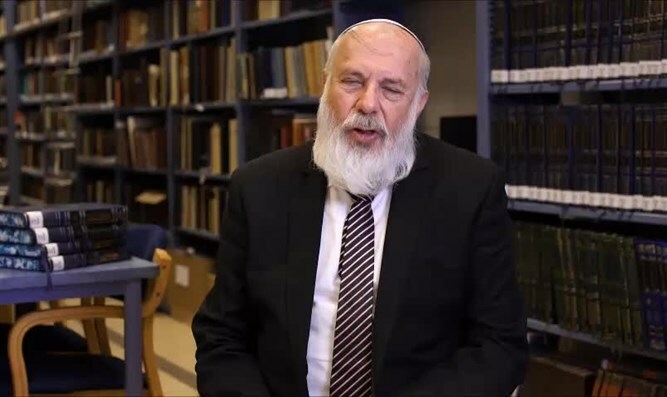 Rabbi Aharon Katz, acting rabbi and marriage registrar of the city of Ramat Gan explains that he has encountered the problems of marriage procedures many times in the framework of his job. Rabbi Shmuel David, the rabbi of Afula, said, “It is unreasonable for these couples not to be recognized by the state. From a democratic perspective, it is impossible to prevent them from recognizing themselves as a couple. It is important to say that their registration by the state will definitely help Judaism. The Ne’emanei Torah v’Avodah movement will soon present a position paper proposing solutions for regulating the status of couples in Israel.